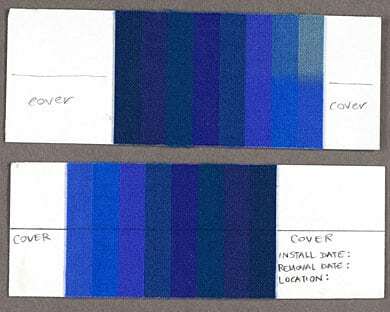 The Blue Wool Scale (BWS) indicates the lightfastness of colourants. Lightfastness is the chemical stability of a pigment or dye under long exposure to light. A rating of between 0 and 8 is awarded. 0 denotes extremely poor lightfastness, whilst 8 denotes excellent lightfastness.